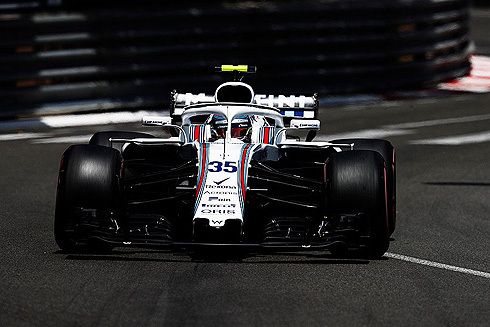 The results of qualifying for the 2018 Monaco GP would see an encouraging if mixed result from the Williams Martini team. The teams drivers would finish in 13th and 18th. 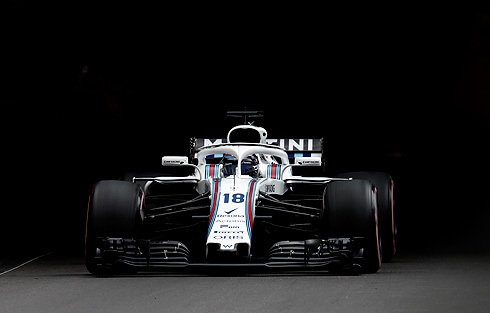 After what can be described as positive weeknd to this point Sergey Sirotkin would finish in 13th. He was outside the top ten by the smallest of margins which made his result even positive. 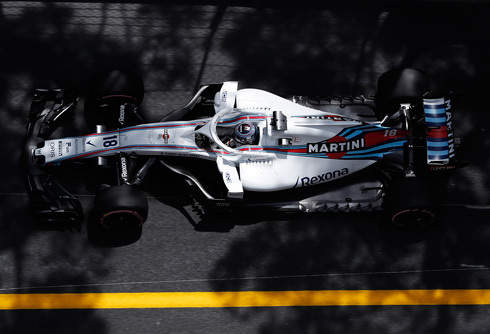 For team-mate Lance Stroll his session was again another frustrating one with the signs of frustration with the situation appearing. He will start the race 17th with other drivers receiving grid peanlties. Now it was down to strategy for Sunday's race with a question as to what tyres they will use having only run on the hypersoft tyre. After his practice crash it was not looking good for Verstappen getting out with a reported gearbox change been required which will see him get a five place grid penalty. The first eighteen minute period would commence with both Williams cars out early. The ties were coming quickly with the first really quick time coming from Vettel with a 1m:13.165. Verstappen would not be getting out for this period. Ricciardo was now quickest with a 1m:12.769 followed by Vettel and Perez. But Alonso was now quickest with a 1m:12.698 with Sergey's Williams second. It would change with Raikkonen going second followed by Alonso. The Williams pair were now fourth and 18th. How it was Hamilton going second but Vettel would move ahead. Quickest was Ricciardo with a 1m:12.013 followed by Vettel and Hamilton. Four minutes remaining and the top five were all in their pits. Bottas would move into third followed by Hamilton and Vandoorne. Raikkonen was sixth followed by Alonso, Sergey, Leclerc, and Perez tenth. For Williams they had only one driver making it past the first period in what was a very mixed result. The second period would commence with a Williams car making an appearance. Both Mercedes cars would come out on the ultrasoft in a different strategy. The other drivers were all on the hypersoft tyre. As the times started to come through it would be Ricciardo quickest with a 1m:11.353 followed by Vettel and Raikkonen. Perez was fourth followed by Alonso, Vandoorne, Ocon, Gasly, Hamilton and Sainz tenth. Sergey was now 11th. Hulkenberg would move into seventh with Sainz ninth. Hamilton and Bottas were 11th and 14th as the track cleared with everyone taking stops for tyre changes. Both Mercedes cars would come back out on the hypersoft tyre. Hamilton would go third and Bottas fifth. Ocon was sixth followed by Perez, Alonso, Gasly, and Vandoorne. Lance would follow his team-mate out also on the hypersoft tyre. Lance would set a slow 1m:19.144 on his outlap. Lance would set a 1m:13.682 to be twelfth but he would drop to 15th. Lance would complain that his headrest was lose. He would pit currently 18th. He would get back out after a somewhat longer pitstop than his team-mate. Lance was on a quicker lap but would lose time in the final sector seeing him only 18th with a 1m:13.323. He would say that he was struggling with traction as the period came to an end. So Lance would be out after the first period. Sergey was out first for Williams running on the hypersoft tyre. Sergey would set a 1m:13.305 to go a quickest if only briefly. He would drop to fourth but would improve with a 1m:12.706 to go quickest but would drop to third. Sergey would pit currently fourth. He would drop to sixth as others went quicker. Sergey would return n a news et of hypersoft tyres. Sergey would drop to eighth as others went quicker. Sergey would not be able to improve and would finish in eighth. Sergey would come out early in the second period again on the hypersoft tyre. A 1m:12.722 from Sergey on his first lap seeing him briefly quickest. but he would drop down to fifth as the times came through. This would become 12th with nine minutes remaining. Sergey would pit and would return again on the hypersoft tyre. He would set a 1m:12.521 remaining 12th. He would drop to 13th and was not able to improve with the end of the period.